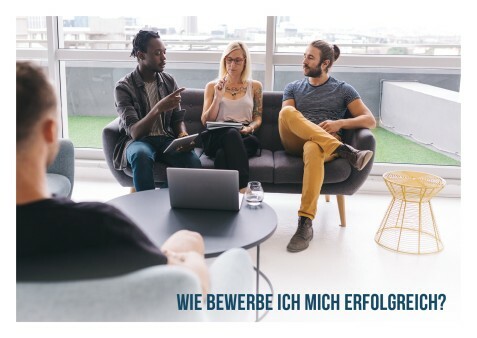 Strategische Bewerbungsthemen können in Webinaren oder Workshops professionalisiert und sofort in einem bevorstehenden Bewerbungsprozess eingesetzt werden. Weitere Informationen und die Anmeldung zu den Kursen finden Sie im Veranstaltungskalender . Webinar: Trends im Recruiting - wie bewerbe ich mich optimal? Dieses Bewerbungstraining (insgesamt 180 Min.) können Sie ohne Anmeldung und Gebühren selbstständig durchführen. Methoden: e-learning-Kurs mit Lernkontrolle, zusätzliche Checklisten und Muster zum Download. Anmeldung: online über Lernbörse >> Demo Lernprogramme . Jobline LMU is the English-language job application training programme of Ludwig-Maximilians-Universität, Munich. Jobline LMU is for students and school-leavers who would like to do an internship abroad and for graduates who have just finished their studies and want to find a job or a graduate trainee programme in the English-speaking world – or at a company in Germany with an English-language corporate culture. Themenbereiche: Working abroad, Job search, CVs, Cover letters, Telephoning, Interviews. Methoden: Jobline LMU's resources provide you with a selection of materials to help you with your job application. These resources supplement the step-by-step information and training of the online modules. Voraussetzungen: In order to work with the resources, you need to register with the website. Using Jobline LMU is free of charge.